Particulate matter, PM 10, PM 2.5, nitrogen dioxide, ozone, indoor pollution, outdoor pollution, etc. : not easy to make sense of it all. Air pollution is a complex problem, hardly visible, sometimes counterintuitive. Did you know for instance that car drivers are exposed to more than twice the amount of air pollution than pedestrians, and almost eight times more pollution than cyclists? that concentrations of particulate matter are dangerously high in the subway? At Plume Labs we believe that citizens should be better informed about air pollution. To make this happen, we launched a few weeks ago the Plume Air Report, the free iOS app to help you know what you breathe in your city and predict air quality in real-time. Thousands of pure air chasers have already adopted it. We received tons of great reviews (4+ rating on the app store ☺), and many questions as well: how do we predict air pollution? how do we compute our Plume Index? etc. Here are a few answers to your questions about “The Art of Measuring Air Pollution”. Coming next weeks: “Why We Spent So Much Time on Designing a Great User Interface”, and then “Predicting Air Pollution”. And after that… enough of Science! 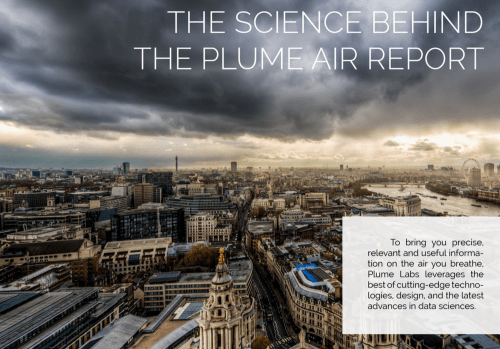 Open Data is at the core of Plume Labs and the Plume Air Report. Open Data is a citizen’s movement which aims at making data freely available to everyone, based on the idea that better informed citizens drive human and economic progress. Without Open Data, we wouldn’t be able to collect, analyze and interpret measurements of the main pollutants’ concentrations. Where do we collect pollution data? Most cities around the world have built networks of air quality monitoring stations. The public bodies in charge of these networks usually release their data on the internet so that citizens are kept informed: in France it’s the “Fédération ATMO”, in the US the Environmental Protection Agency, in the UK the DEFRA, etc. So we basically collect real-time measurements via their websites to build our own, comprehensive data-base. When several sources are available, we select the most accurate one: for instance in India and China, we primarily rely on the network of US embassies and consulates. Today, the Plume Air Report lets you know pollutant concentrations in more than 60 cities around the world (of which 10 are in France), which represents millions of data collected and analyzed hour after hour! We are working hard to rapidly increase our coverage, but do not hesitate to raise your hand to vote for new cities, or even give some tips about new sources of information (we have a great story about a Swiss journalist helping us find their local air quality network, many thanks again to her ☺). Air pollution is measured the same way across the world. Local networks monitor the concentration of pollutants in the atmosphere, the main ones being particulate matter, nitrogen dioxide, ozone, sulfur dioxide and carbon monoxide. Fortunately, these networks measure pollutants using the same units: µg/m3 (micrograms per cubic meter), ppb (parts per billion), ppm (parts per million), etc. So whatever the place, we can compare measurements against each other: 25 µg/m3 of particulate matter in Paris, Beijing or San Francisco, it’s the same! Missing data: sometimes local networks do not provide data with the regularity and continuity we would expect. And missing data means… less informed citizens. To avoid this, we cross check several sources of information to ensure real-time data availability in the Plume Air Report. In New Delhi for instance, we can use up to 3 different networks. Lack of accuracy: we use data only when they are reliable and collected by scientists. When we can’t ensure the highest standards of data quality, we prefer not to use them at all. This is one of the reasons why the Plume Air Report “only” covers 60+ cities now. Incomplete data: as we mentioned before, air pollution is not about only 1 or 2 pollutants. However some air quality networks do not cover the full spectrum of air pollutants. In China for instance, we only get particulate matter measurements. Monitoring station types: some stations are located in city centers, others close to busy highways or an industrial area, etc. We take into account these differences when we determine the level of air pollution in your city. 02.20.19Plume Labs alongside Apple, Kano, Google in 2019 World’s Most Innovative Companies! 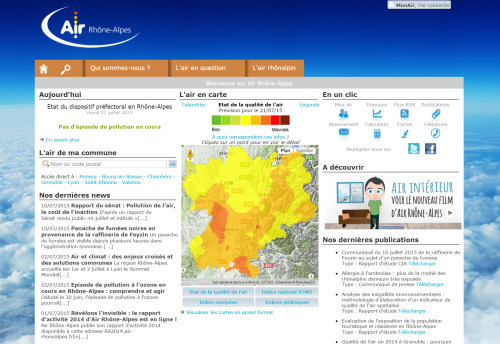 Previous Post The Plume Air Report for iPhone is now live in Paris!